Writing result-oriented content that connects to your readers is challenging, as it must appeal to, entice, and convince consumers to take action. We specialize in creating engaging content. You need content that will interest and engage your site visitors and lead them to contact you. We can create great content for you to help you reach your online goals. We create copy, capture images and produce video that can all work together to create engaging content. We can write or re-write a variety of types of copy for all of your online marketing needs. We can write for the pages of your site, blog posts, social media posts or descriptions for your directory listings. We will interview you and / or key people within your business to obtain the important points that need to be conveyed and then create the copy for the appropriate outlet. We can have professional photos taken for your project that include business portraits, outdoor landscapes, indoor photography or product photography. Other options include gathering stock photography or illustrations to complement your topics. Whichever the case, great images strongly enhance your site visitors experience with your content. They say a picture is worth a thousand words – so video is probably ten times that amount. 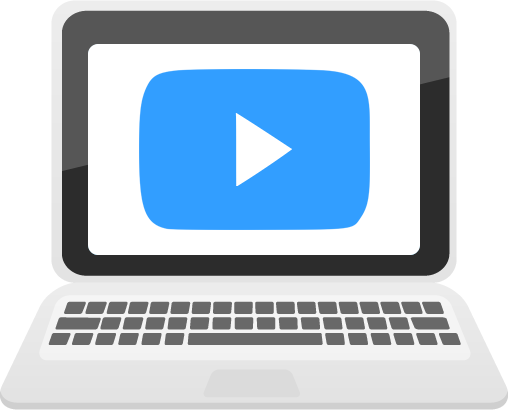 Video is compelling, engaging and the fastest growing medium on the web today. Don't miss out on the opportunity to have a presence in that space as it continues to grow. Through video you can tell your story and include the perspective of your star customers. You can create educational pieces, provide an interactive tour, record online training, or make something entertaining. A primer to help business owners better understand content marketing. The phrase "content is king" isn't new. But what is new — and groundbreaking — is how it applies on today's digital landscape. 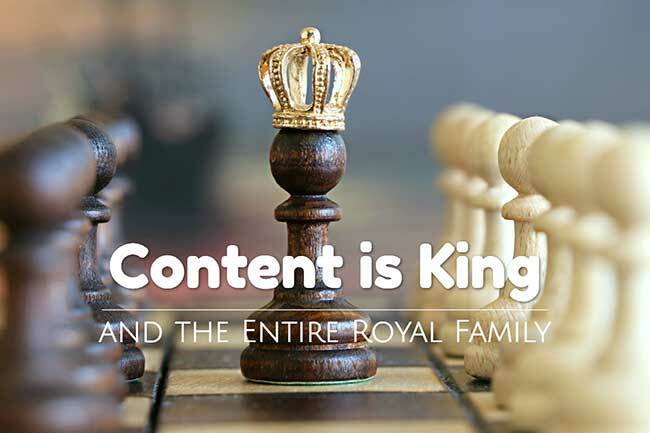 Indeed, it's not an exaggeration to say that these days, content isn't just king: it's the entire royal family! This guide — which is offered to you completely free, and with no need to subscribe or download — explores why content marketing is so important, and why businesses across all sectors (B2C, B2B, B2B2C and B2G) can no longer afford to ask "should we be using content marketing? ", but rather "how quickly can we get up-to-speed on content marketing?" To clearly and easily understand the essence of content marketing, it's helpful to start with a look at something that we're all familiar with: traditional marketing, such as commercials, ads, billboards, signs, and so on. While these conventional methods differ in terms of design, reach and of course, cost, they all share a common theme: they only work when they're noticed in-the-moment by target audiences. For example, a bus advertisement that encourages people to get a diploma and boost their career options only succeeds if the right people — who are also in the right frame of mind and mood — see it at the right time (i.e. when the bus is passing them by or vice versa). Otherwise, the ad might as well not exist. For this reason, conventional marketing is often referred to as "interrupt marketing." Of course, advertisers must still pay whether their ad succeeds in interrupting enough people, and motivating them to make a call, visit a website, order a product, make a purchase, or carry out any other desirable activity. And since ads don't provide any value and only capture attention for a brief period — often a handful of seconds or less — it's not surprising that most advertisers fail to achieve meaningful ROI. In fact, most of them don't even come close to breaking even. Content marketing isn't just an alternative to conventional marketing: it works in an entirely different — and far more effective way. This is because content marketing provides relevant, timely and interesting information that target audiences actually want to receive. In other words, instead of interrupting people, content marketing is all about engaging them — and that makes ALL the difference! Please note that this is not an exhaustive list of all types of content marketing, as new items are constantly emerging as consumer and business trends change, and as technologies evolve (e.g. IoT, wearables, geo-targeting, etc.). The term inbound marketing was coined a few years ago by a firm called HubSpot, which creates automation software to help businesses publish and monitor their content marketing programs. Essentially, there is no fundamental difference between content marketing and inbound marketing — which explains why the terms are often used interchangeably (even by digital marketing experts). If there is a distinction to be made between the two, it could be said that inbound marketing heavily relies on automation, while content marketing doesn't necessarily need to. In this sense, businesses that create great content and push it out to target audiences through various channels and touchpoints are doing content marketing. And those same businesses that also invest in technology, systems and personnel to largely automate their workflow processes, are doing inbound marketing (a.k.a. "automated content marketing"). The key takeaway here is that while some businesses would benefit from doing inbound marketing, all businesses would benefit from doing content marketing. Before looking at the benefits of content marketing — and they are very compelling — it's helpful to quickly look at the topic of "gating." Simply put, gating is when a business trades their content in exchange for an individual's contact information (personal if it is a B2C engagement, or business if it is a B2B engagement). This trade happens through an automated online form, and usually only takes a few seconds. Sometimes, it makes sense to gate content, and this is usually the case with ebooks, white papers, reports, webinars and templates (or any other kind of valuable tool). This is basically because target audiences have demonstrated a willingness — or at least, a tolerance — for trading their contact information for these kinds of items. Remember: we aren't talking about exchanging money here, since that's not how content marketing works. The "currency" for this transaction is contact data; not cash. However, there are other scenarios where gating content creates a barrier that, in the big picture, would repel instead of engage target audiences. For example, most people won't share their email address — or even their geographic location — in exchange for things like blog posts, articles, videos and infographics. As such, these items are almost always offered freely on-demand. As a bonus, this free and open access also encourages sharing. People who really like a blog post or infographic can send the link to anyone in their personal or business network, without concern that the recipient will have to do anything other than click and enjoy. Cost Effective. Compared to conventional marketing, content marketing is astonishingly cost effective. For example, a single 30-second radio commercial on a popular station in a major market can cost over $10,000/month, and a TV spot can cost well over $100,000/month. On the other end of the spectrum, a comprehensive multi-platform content marketing program can cost well under $2000/month, and yet generate outstanding results. Delivering value. Content marketing delivers meaningful value through informative infographics, insightful white papers, and so on. Target audiences trust businesses that supply them with this value, and lean forwards towards them — both consciously and subconsciously through the principle of reciprocity (i.e. they are grateful for receiving something at no cost, and want to return the favor). 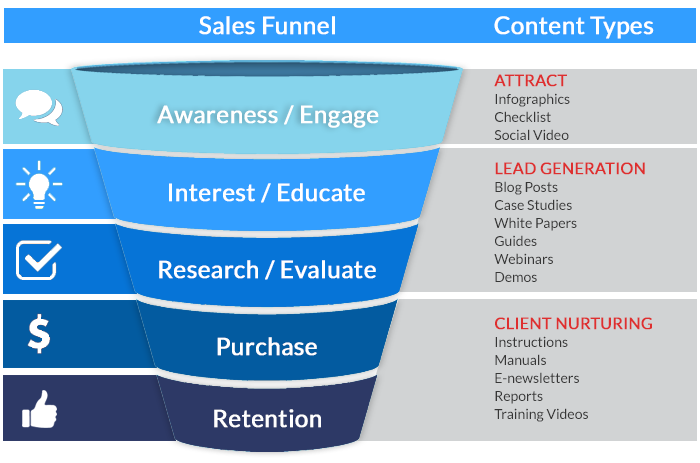 Sales Cycle-Friendly: Content marketing informs and educates target audiences, and ideally ushers them forward on the buyer's journey towards making a purchase — but in a zero-pressure way and with no heavy-handed sales tactics. Sales reps especially love content marketing, because it helps populate the pipeline with legitimate sales qualified leads, and filter out window shoppers and "lookie-loos" who take up a lot of time, but have no intention to make a purchase in the foreseeable future. Works 24/7/365. Today's customers — from personal consumers to business buyers — are just as likely to be searching the web in the evening or on the weekend, as they are during normal business hours. Because content marketing uses the web, it never shuts down for the day, or even goes on vacation or gets sick. 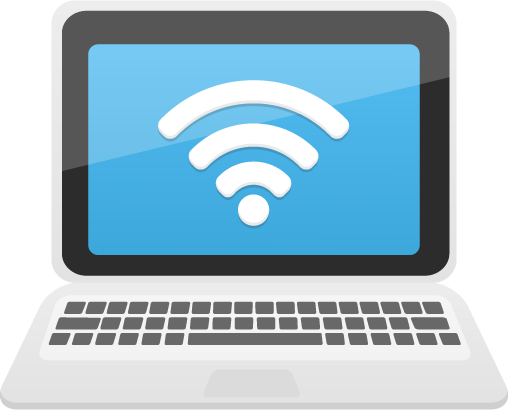 Whenever target audiences want to read an article, download an ebook or watch a video — even if it's 3:00am on a holiday — they can do so. This is good news for customers, and it's even better news for the businesses that want to engage them! Lateral Sharing. We've all experienced a friend or colleague pointing us to a piece of useful, relevant content. For example, we casually mention that we're looking for a new laptop, and a few hours later someone emails a link to an ebook called "7 Tips to Buy the Ideal Laptop." Or we're searching for legal advice for our business, and someone helpfully sends through an article entitled "Questions to Ask a Prospective Business Lawyer." This lateral sharing is impossible with conventional marketing, but virtually effortless with content marketing. Ultimately, it increases the number of people that a business can reach — but without spending an extra cent. SEO Benefits. SEO and content marketing pair very nicely, because search engines like Google and Bing correctly understand that content marketing is ideal for enhancing user experience. In other words: search engines want to connect searchers (in this context, target audiences) with business websites that will inform and impress them, and content marketing does both. What's more, certain types of content marketing — especially blogs — can be integrated with keywords to boost SEO rankings. Increase Traffic and Engagement. Last but certainly not least, all businesses — from unicorns like Apple and Amazon, to dynamic new startups that dream of making the cover of Inc. or WIRED — want to increase web traffic and engagement. Content marketing does both, since it not only pulls in more people to a website, but it gives them more to do once they arrive. The previous section on why content marketing works is inspiring. However, businesses that have previously fallen into a conventional marketing "money pit" — or who may have experienced a less-than-positive (read: costly and stressful) foray into the world of online marketing — may be skeptical about the bottom-line results. This skepticism is not only understandable, but it's wise. Add it all up, and it's clear that the reason content marketing is so popular and profitable isn't because of hype. It's due to results. As the old saying goes: numbers don't lie! Content marketing isn't a trend or a fad that is in the spotlight today, but is bound to fade away in the near future. It's here to stay, for the two simplest and most compelling reasons possible: it's extremely affordable, and it's remarkably effective. As such, the question that businesses need to ask isn't "why" invest in content marketing, but rather "how much" and "how fast." We hope that this guide helps your business get on-track for sustained content marketing success. We invite you to contact us to share your feedback and experiences. We would also be pleased to help if you need advice and guidance for your in-house team, or you want to partner with an experienced digital marketing agency that cares as much about your success and happiness as you do! We develop content that helps your customers engage with your site.